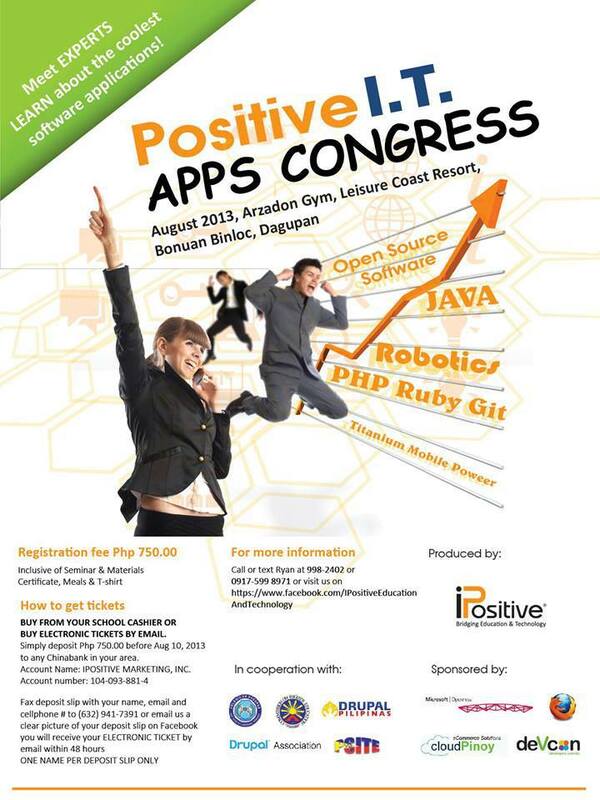 Learn about cool software applications and meet IT experts! Arzadon Gym, Leisure Coast Resort. 3) BUY ELECTRONIC TICKETS BY EMAIL. Simply deposit Php 750.00 before Aug 10, 2013 to any Chinabank in your area. Account Name: IPOSITIVE MARKETING, INC.
Fax deposit slip with your name, email and cellphone # to (632) 941-7391.
or email us a clear picture of your deposit slip on Facebook.